Thank you for your support of Lionhearts Fitness/OCR at Our House studios!! We will be back for another taping in 2019! 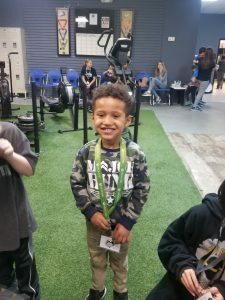 Lionhearts Fitness started as Lionhearts OCR in August 2018 because of a 14-year-old, named Zaya Luccketta. 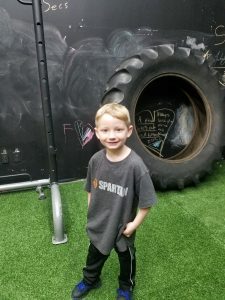 The ideas began forming because of the amazing things he learned, through OCR Racing while Spartan Racing and volunteering. We wanted to make this type of training, fitness, teamwork and anti-bullying available to all youth, of all socio-economic status, fitness levels and abilities. In September 2018, Michele Luccketta met Victoria Phillips at Chattanooga State University. Victoria was exhibiting at an Athletic Fair, representing an athletic facility. She was full of energy and was open to listen to Michele’s ideas about creating a Youth OCR program (the only such program in East TN.) Plans were made to meet with the owner of said facility, but the plans of creating the program fell through. In the process Victoria introduced Michele to Our House Studios owner and operator, Christy Chapman. A new plan was then in the works. Christy wanted a complete youth program at OHS and offered Michele complete carte blanche to create and develop the program. She gave Michele a closet to create an office, on November 4th 2018. Lionhearts Fitness and OCR was Born. Michele then created a name, logo, program, internet presence with complete social media absorption as well as created the LionheartsFitness.com web site and YouTube channel. She also became a temporary OHS General Manager. Victoria’s job was dissolved,(at the original facility,) during this process. She then joined Michele as part of the developing team and as a founding member of Lionhearts Fitness. Classes began after a successful launch, on December 8th 2018, of mentors, exhibits and displays. Classes began for both teens and younger youth. We are now serving all youth from the ages of 9mo. to 18 years of age. A Non Profit Organization to Provide Fitness to All. Lionhearts Fitness needed a way to sponsor, support our youth, the community and filed for a non-profit status. Lionhearts Fitness have had personal and corporate offers of sponsorship and have now made it feasible to accept the donations and to solicit many more to serve our youth. As of January 2019, Lionhearts Fitness became an official Non-Profit organization, with Michele as the President and Victoria and Christy becoming directors on our board of 4 officers. 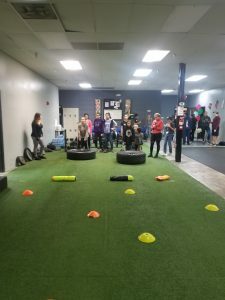 Lionhearts Fitness and the Lionhearts Youth OCR Training and Conditioning Program is now a Non-Profit Youth program, serving our varied community of athletes. Lionhearts Fitness branched off the concept of being an OCR team, into a complete fitness program using the no “cut” “audition” “elite” mentality with the “All for one, and one for all” mentality. We must root for each teammate and help each other achieve various goals. There are no “tryouts.” All youth are welcome, encouraged, empowered and victorious. All participating youth must complete a Saturday per month of community service. They will meet the 2nd Saturday of the month, for community service. We know of nothing else of this kind in our area. The community service consists of serving other non-profits throughout the area, with community projects such as environmental cleanup, feeding the homeless and taking food to the food banks. They will also have a Saturday per month of mentor education. They will meet the 4th Saturday of the month, for Mentor Saturday. We have quite a few mentors in our mentorship program, from all genres of athletics, all the top of their field, coming speak to our youth and encourage them to excel at whatever they choose. Although we will be focusing on OCR Racing, our workshops/speakers will include: Ironman, Spartan, American Ninja Warrior, Pro softball and baseball players, Football coaches, Olympic Gymnast, World Class-World Champion martial artists and such. All are welcome to attend Mentor Saturday, meeting at OHS at Noon. 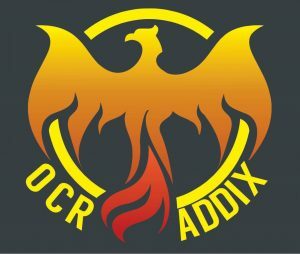 Another one of the great things Lionhearts Fitness wants to bring to our Saturdays, is the creation and formation of the youth adaptive OCR athlete group: Lions Roar. There will be much more about that as it develops. We are currently preparing and training to be of service to our “Adaptive Athletes.” “More Hearts Than Scars,” an adaptive OCR Racing Team, have joined us in this effort. We are especially excited to be of service to our family of children with autism. We will be soliciting sponsorship for travel, races and uniforms. We will be participating in races, team building and offering many community service opportunities. No one is left behind. We are currently setting up a PayPal account to make it easier for you to sponsor a child or to donate to help provide many of the Youth’s Fitness needs. We will update this page once it is active. HERE IT IS!! Lionhearts has a Spartan Race Coming up in Atlanta in April, and have started a sponsorship campaign. There will be a link here to that also. 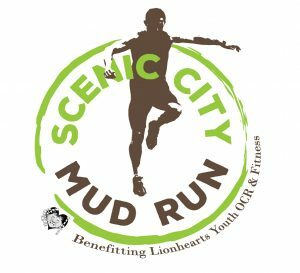 We have been chosen to participate with OCR ADDIX in the Scenic City Mud Run. We need volunteers, runners and sponsors. Please e-mail shellto see how you can help and please register hereto participate. Mission: To empower our youth to face fears and conquer obstacles, knowing their worth, building self-worth as well as becoming stronger physically. Obstacle Racing, particularly in team racing, develops community, unity, strength and empowerment by helping others. No one is left out, left behind. If one person can’t do an obstacle, their teammate will help, or even do it for them. Everyone has their favorite strength and obstacle, together we face them and are victorious. We are also working with Armaid and other sponsors. This page will be filled up with them shortly.